A backyard border dispute between Washington, D.C., neighbors leads to spirited comedy in the contemporary satire “Native Gardens” at Syracuse Stage Feb. 13 through March 3. “Native Gardens” is written by Karen Zacarías. Melissa Crespo directs. The design team includes Syracuse Stage veterans Shoko Kambara (scenic designer) and Dawn Chiang (lighting design), as well as newcomers Lux Haac (costume design) and Elisheba Ittoop (sound design), all of whom are women of color, a first for Syracuse Stage. “Native Gardens” tackles the thorny issues that arise when a young Latinx couple purchases a house next to an established white couple in a historic D.C. neighborhood. Tania and Pablo Del Valle (Monica Rae Summers Gonzalez and Erick González) are new to the neighborhood. She is a Ph.D. candidate and very pregnant. Her husband Pablo is an attorney with ambitions to make partner at his prestigious D.C. firm. Next door are Virginia and Frank Butley (Anne-Marie Cusson and Paul DeBoy). Virginia is a senior engineer at Lockheed Martin. Frank is retired from the federal government, a serious gardener and a perennial runner-up in the Potomac Horticultural Society’s annual gardening contest. With a baby on the way, Pablo and Tania are excited about moving into their own home and having a back yard. She likes to garden as well. She is especially excited about a large old oak that dominates the yard. Virginia and Frank are happy to have responsible homeowners move in to a property that for some time has been a mistreated and poorly maintained rental. Frank is even elated when the Del Valles offer to tear down an eyesore of a fence and replace it with a new wooden one. His elation takes a nosedive, however, when the Del Valles learn that the original fence actually encroached on their property by two feet. The border dispute in miniature that ensues allows Zacarías to lampoon some hot button contemporary issues including privilege, immigration, gardening philosophy and border walls. While these topics can certainly provoke rage and outrage in equal measure, Zacarías opts for a gentle, light-hearted and comedic approach. “Native Gardens” is a play that holds the possibility of hope and reminds us that whatever forces drive us apart, there are greater forces that can bring us together. Her border dispute brings out the worst in her characters, but more importantly, it also brings out their best. 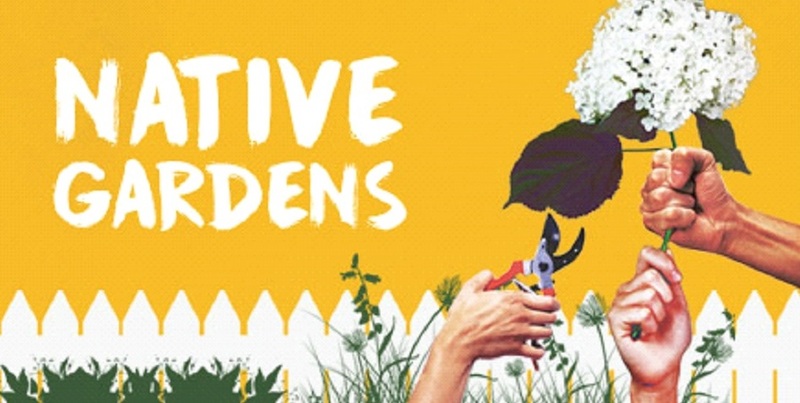 Since its premiere at Cincinnati Playhouse in the Park in 2016, “Native Gardens” has proven to be widely popular, receiving many productions throughout the country. This season it made American Theatre magazine’s list of the Top 10 Most Produced Plays. This is exactly what Zacarías had in mind when she started writing “Native Gardens.” It is a play that toys with expectations and makes audiences laugh, while also shining a light on the concerns of the day. In addition to the four actors who portray the Del Valles and the Butleys, the Syracuse Stage production features five local Latinx actors (Baker Adames, Luis A. Figueroa Rosado, Aaron J. Mavins, Isabel C. Rodriguez and Devante L. Vanderpool) who portray gardeners and landscapers. Their presence throughout the play is vital to fulfilling Zacarías’ vision. Zacarías started writing “Native Gardens” in 2014, before the 2016 election and the current upheaval over the border wall. She claims no special prescience about the subject but is not surprised that the wall has come to dominate political discourse. Zacarías became a citizen of the United States in January. The League of Professional Theatre Women (LPTW) recently announced that Zacarías will receive the 2019 Lee Reynolds Award, given annually to a woman in theatre who has helped to illuminate the possibilities for social, cultural or political change.